What do you say when your heart is breaking and you want to say thank you and goodbye and mean it with all your heart? Love comes in all forms. It is sometimes expected, as in family ties, sometimes surprises us in people we meet on this journey through life, and sometimes it comes in the form of beloved animals. 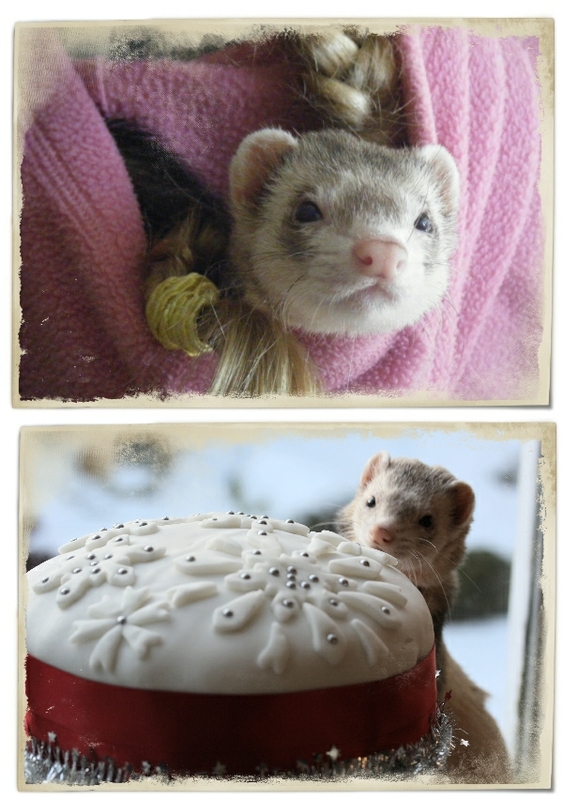 Little people in fur coats, who can mean just as much as their human counterparts. They ask no questions of us other than we care. They know no judgement, no harsh words or criticism. They expect nothing and are thrilled and delighted with whatever we offer. 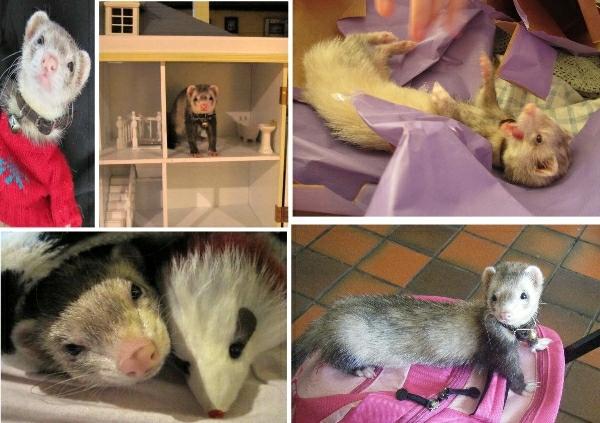 Six years ago in the middle of summer, a baby ferret, a kit, entered our lives. Harry Potter Grieve. A new addition to this country household and a friend for a little girl who loved animals. He was so small to start with that I used to carry him around in a little pouch. 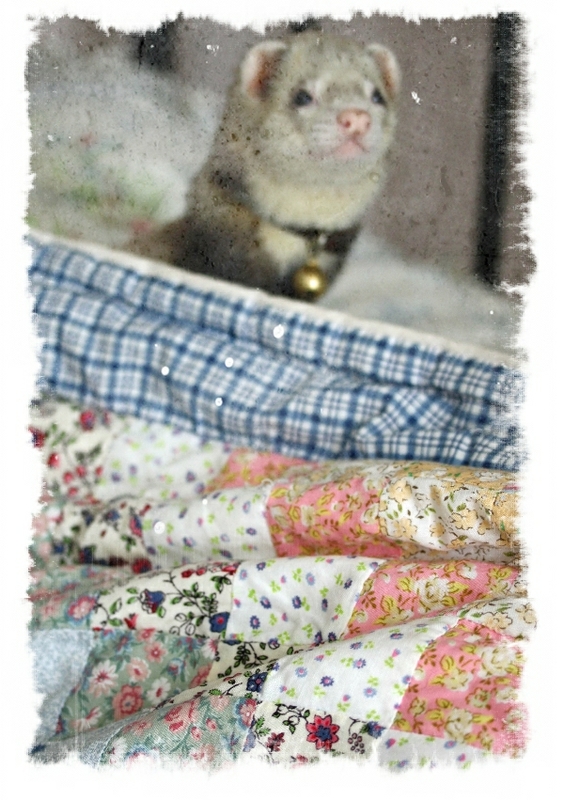 It soon became obvious that this wouldn’t be a caged pet, he was a House Ferret. Like a tiny cat he roamed free and got into more mischief than any animal had the right to. He was dressed up and played in a dolls house. He was part of our little two person family and knew he was loved. In January the next year he hopped out the front door unnoticed and disappeared. We searched for days, for weeks. It was a harsh and bitter winter with deep snow. We live in an area of buzzards and even bigger birds of prey. What chance did this pampered pet have in the outside world? In the Spring we thought we saw him about half a mile down the hill, rushing across the lane and into the woods at the back of a neighbour’s garden. Hearts pounded in anticipation, hopes were raised. The neighbours set out traps, we baited them with his favourite treats. All to no avail. Maybe it hadn’t been him after all. Then in the height of summer the neighbour rang me in the afternoon. “Quick Karon, come down, Harry is in my garden”. I fairly ran down that hill and could hardly calm myself and move slowly to creep into the garden as not to scare him. There he was, it was Harry. I called his name and he ran to me. He remembered me and jumped into my hands. I put a note on the fridge saying simply “I am home” with a little paw print. Idgy saw it the minute she came home from school and was over joyed. The prodigal son had returned. He wasn’t well though. The outside world he had adventured in had not been so kind to him. Little food had stunted his growth and other animals had left their mark. With the help of the vet we nursed him back to health. Touch and go moments. Overnight stays while drips and technology aided our own more basic love and care. All nerve wracking. All so worthwhile. A menace. A minx. A fun loving criminal. 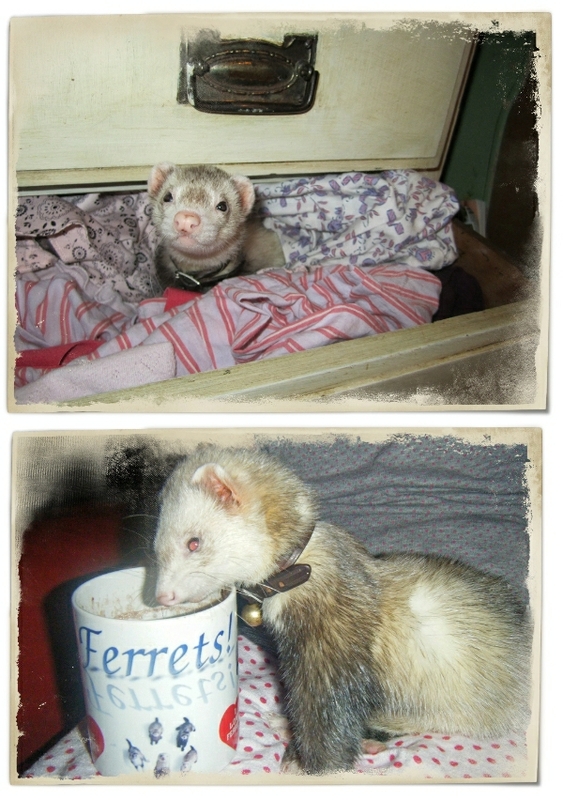 The Latin word for ferret translates as Thief, for they steal everything in a magpie like quest for ownership and fulfilment. Socks, food, sweets, toys, pens, papers and most of all hearts. Harry you stole our hearts. Where did you put them? No Christmas complete without the ginger cookies being pinched from the tree. The cake being tested, the presents being thoroughly enjoyed. She went from a little girl to a teenager with this little guy. He has been a joy to behold. A perfect playmate. A TV lap companion who would snuggle for hours just enjoying your presence. A sponge for tears during heartbreaking times when a marriage breaks, father dies and ill health tears a family apart. Always the jester to raise a smile, always the sponge when it didn’t work. He owned the house. Every room has his special areas, a broken basket in the corner where he curled and slept, a kitchen cupboard always left ajar. Soft toys he loved, screwed up pieces of paper too dear to him ever to be discarded. His love of water made flowers a target for misdemeanors. Every night he would sit at the side of the bath and sip the hot water from your hand. Bath times will never be the same again. Just the other night he did his usual roll on the bathmat and as usual I immediately wished I had my camera with me. Never mind I’ll get that shot another night. I never will. 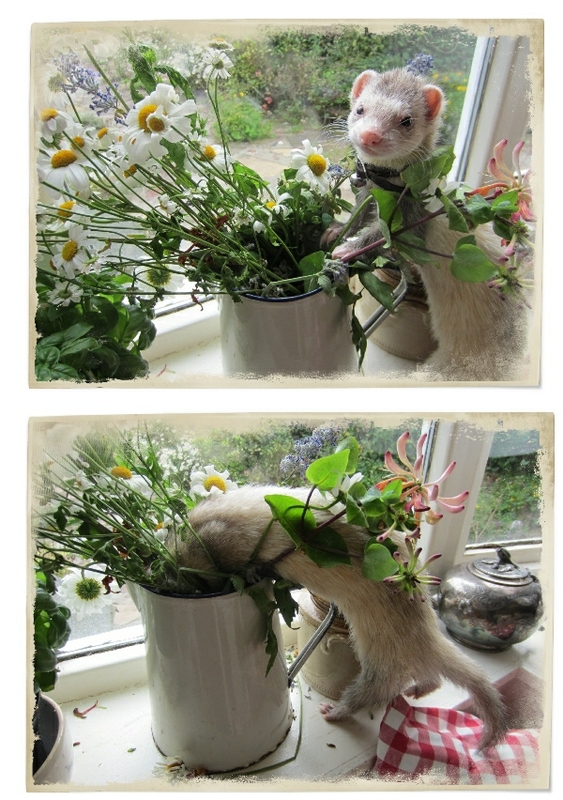 In June this year I visited Tracey up in the highlands and found myself rescuing an abandoned polecat. 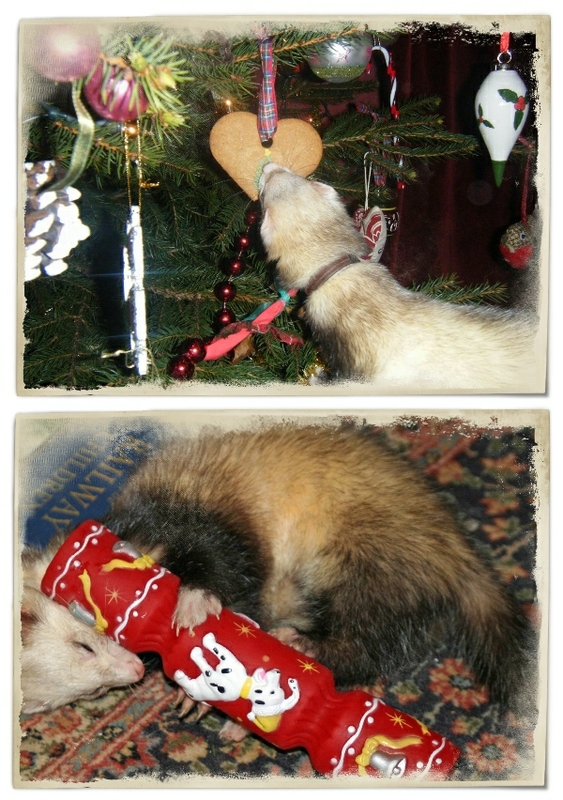 Finzean the mingin’ ferret had joined our band. He and Harry could never be friends as by now our darling little hero was getting very thin and old looking. He had faded from browns to grey to silver – a little frail ghost of his former self. Finzean did give him a new lease on life though. For a few weeks our boy fairly upped his game from sleeping so much and hogging our beds all the time. He was back to his playful self, commandeering the toys and making us laugh every day. But you could see he was unwell, getting on and starting to fade. In the past two weeks he wasn’t well. Lost a lot of weight and had little interest left in the life he had once embraced with more enthusiasm than any cartoon character invented by Disney. This weekend I took stock. I thought long and hard and on Monday night talked to Idgy about having to take him to the vet and the strong possibility of having to say goodbye. Yesterday was hell. The appointment made. My fuzzy friend appeared at my side and slept on my lap as I worked. 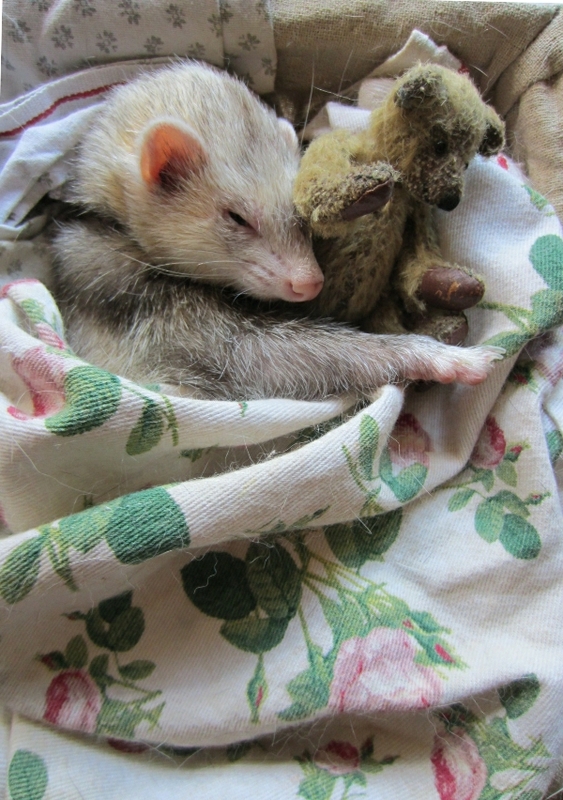 We took him to the vet’s together, Idgy and me, his little family. I said I had hoped he would just close his eyes and die at home. David (vet) said no, he was too much of a fighter and would hang on to the bitter end to stay with us, the life he loved. We could only do the right thing, take that life away from him before real pain started, before it was too late for any joy for him. How I wish we could offer this same consideration to the humans we hold so dear. At 5pm we held him close and said our final goodbyes. He is buried in the garden next to Hank and the others, his old adversaries and friends from a life he enjoyed so well but so fleetingly. So darling Harry this one’s for you. So very sad. But you did exactly the right thing, how can we watch our little ones suffer when all they give us is love and laughter. If only as you say we could do the same for those in the human world that we love so deeply. 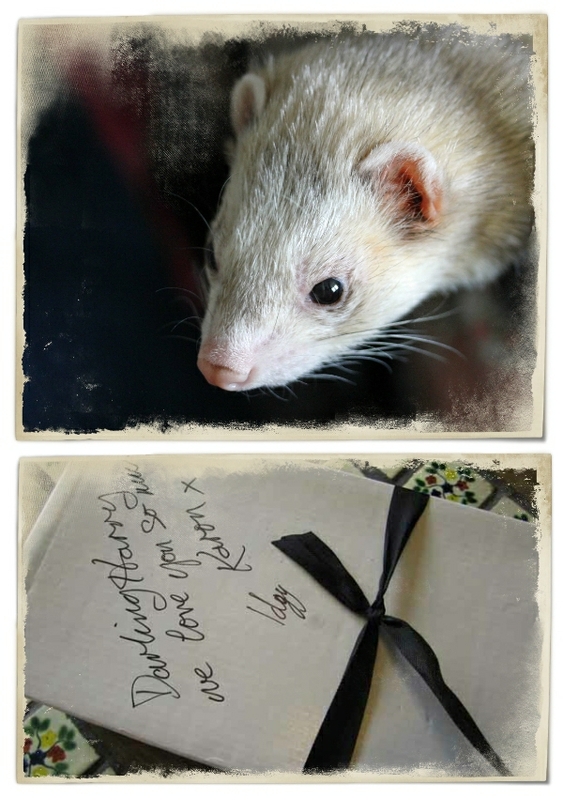 Lots of love to you and Idgy, he was a lucky little ferret to have you two in his life and know so much love. RIP Harry, say hello to Hank for Karon. I’m so very sad for you and Idgy! 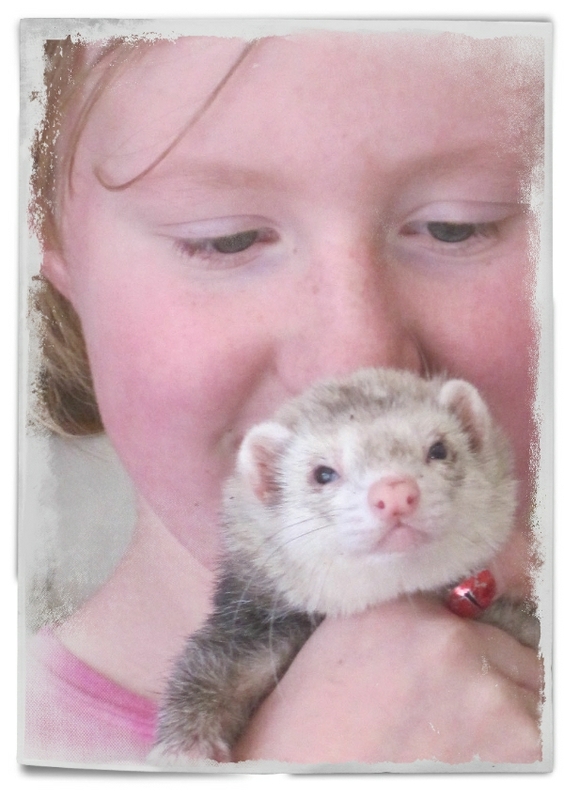 I loved reading about Harry and his antics – I’ve never known anyone who had a ferret for a pet! Harry was a lucky little creature – so well loved – that was obvious by how your wrote about him. Idgy had a wonderful and trusting little friend during an important time in her life – and the same can be said for Harry – and you know Harry is, at this very moment, creating havoc in Heaven! He’s probably getting a grand welcome from Hank or maybe a little swat!? So sad to lose a well loved pet. It sounds like you have many good memories of Harry and that you gave him a good life and he gave you much joy. How sad for you and Idgy. I loved the Harry stories so much. Sending good thoughts to you and Idgy during this sad and difficult time. Thank you for all your kind comments. It really means a lot to us. Oh, Karon, I just read this sad news about Harry. I am so sorry to learn you have farewelled yet another dear 4-legged family member; it has been a bad couple of years for you and Idgy in that regard. 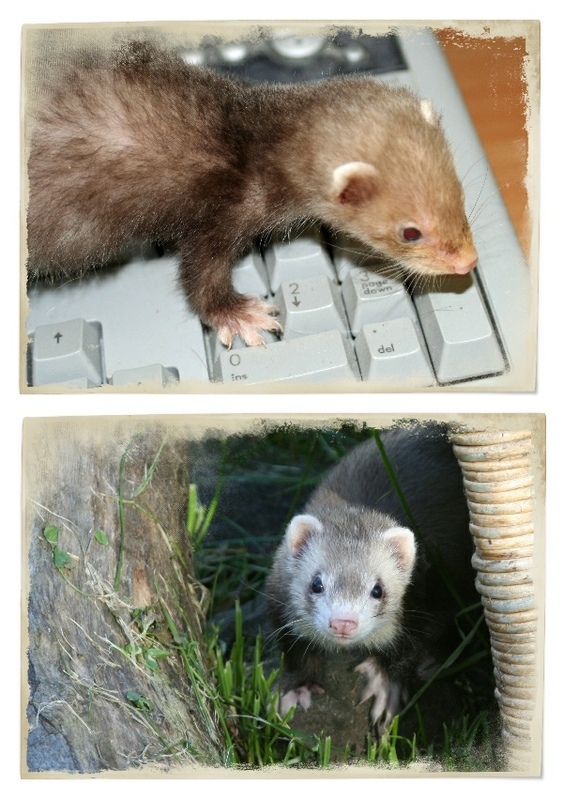 I have always enjoyed reading about Harry, you educated me on the lifestyle and habits of ferrets, I’d been so ignorant about ferrets until I began following your blog. Harry (Mr Personality) sounded like a real character who led an adventurous life, obviously very pampered and adored by you and Idgy. Love and hugs to you and Idgy.